This project is in collaboration with Earth Day Initiative, a non-profit dedicated to awareness of sustainable and socially responsible activism regarding our planet. 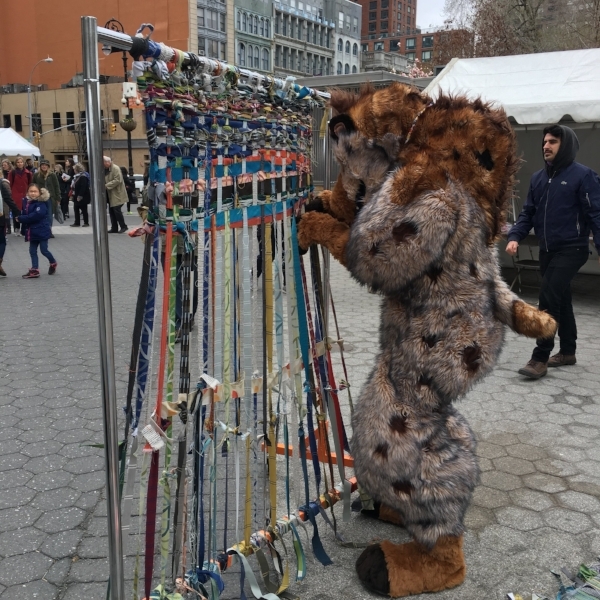 This installation was in public view in May of 2018 for Earth Day in New York City. The Rolling Rack Loom takes an everyday object and adapts it to function as a loom, creating a one of kind textile. As long as an object can hold a warp and maintain tension, it can be used for weaving. Weaving with unconventional means, ensures weaving is accessible to all and not dependent upon a traditional loom.